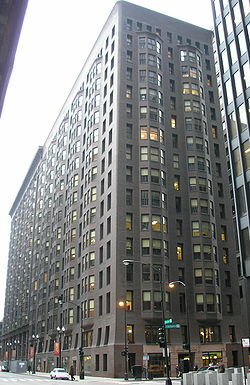 The Monadnock Building, also known as Monadnock Block, is a historic proto-skyscraper in the Loop district of downtown Chicago, Illinois. It is arguably the world’s first skyscraper. 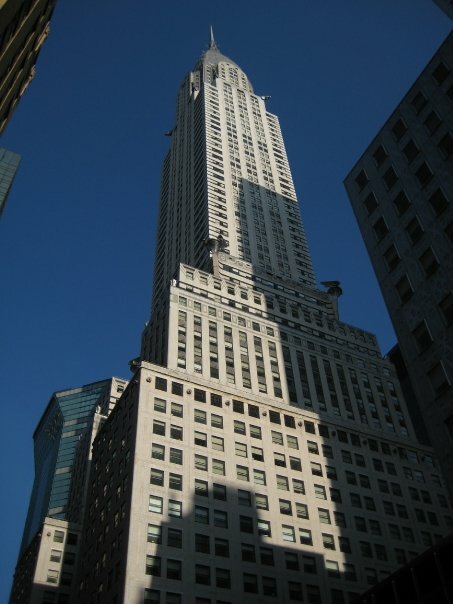 The Monadnock is the tallest commercial building in the world with masonry load-bearing walls. It is located at 53 West Jackson Blvd. The seventeen-story building stands 197 feet (60 meters) tall. The northern half was designed and built by Burnham & Root in 1889–1891; the southern half was designed and built by Holabird & Roche in 1891–1893. 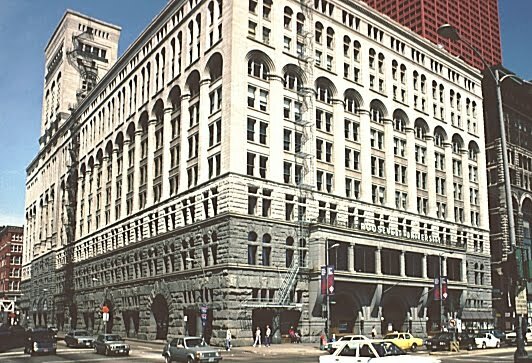 The building was designated a Chicago Landmark on November 14, 1973 and was also listed on the National Register of Historic Places. 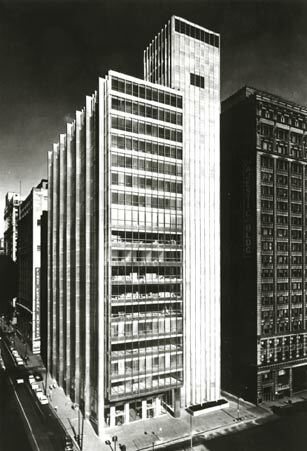 The northern half of the Monadnock represents the last Chicago skyscraper built using load-bearing wall construction; in order for the structure to support its own weight, the walls at the base of the structure are six feet (1.83 m) thick. The building was so heavy that it sank into the ground after it was built, requiring steps to be installed at the entrances. The walls curve in slightly at the second story and flare out at the top of the building, lending it a form similar to that of an Egyptian pylon. Architect John Root’s initial plans for the building included additional Egyptian embellishment, but the developer insisted that the building have no ornament. The southern half of the building was built using the more technologically advanced steel frame construction, which allowed narrower piers and wider windows. The radical difference in construction between the two halves marks the building’s place in architectural history at the end of one building tradition and the beginning of another. The building’s name is taken from the New Hampshire mountain that gave its name to the geological term indicating a freestanding mountain surrounded by a plain. Minoru Yamasaki (山崎實, Yamasaki Minoru, December 1, 1912 – February 7, 1986) was an American architect of Japanese descent, best known for his design of the twin towers of the World Trade Center buildings 1 and 2. Yamasaki was one of the most prominent architects of the 20th century and his firm, Yamasaki & Associates, continues to do business. He and fellow architect Edward Durell Stone are generally considered to be the two master practitioners of “romanticized modernism”. 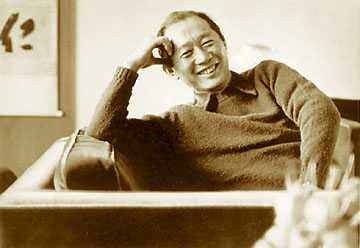 Yamasaki, born in Seattle, Washington, was a second-generation Japanese American. He grew up in Auburn, Washington and attended Auburn Senior High School. He enrolled in the University of Washington program in architecture in 1929, and graduated with a Bachelor of Architecture (B.Arch.) in 1934. During his college years, he was strongly encouraged by faculty member Lionel Pries. He earned money to pay for his tuition by working at an Alaskan salmon cannery. After moving to New York City in the 1930s, he enrolled at New York University for a master’s degree in architecture and got a job with the architecture firm Shreve, Lamb and Harmon, designers of the Empire State Building. In 1945, Yamasaki moved to Detroit, where he was hired by Smith, Hinchman, and Grylls. Yamasaki left the firm in 1949, and started his own partnership. In 1964 Yamasaki received a D.F.A. from Bates College. Yamasaki was first married in 1941 and had two other wives before marrying his first wife again in 1969. He died of stomach cancer in 1986. St. Louis Airport, at St. Louis, Missouri, 1951 to 1956. Pruitt-Igoe Public Housing, at St. Louis, Missouri, 1955, demolished 1972. American Concrete Institute, at Detroit, Michigan, 1958. Dhahran Air Terminal, at Dhahran, Saudi Arabia, 1959 to 1961. Century Plaza Hotel, at Century City, Los Angeles, California, 1961 to 1966. Temple Beth-El, at Bloomfield Township, Michigan, 1968 to 1974. Performing Arts Center, at Tulsa, Oklahoma, 1973 to 1976.